For the football traveller, few settings are as sublime as that of Istanbul’s. And few European cities – with the arguable exceptions of Split, Naples and Marseille, one-club hubs all – demonstrate a passion for the game as this one that straddles two continents. Matches involving Istanbul’s big three clubs, Galatasaray, Fenerbahce and Besiktas, where all but seven Turkish titles have gone since the first in 1959, can be very fiery affairs indeed. Occasionally these passions can spill over into tragedy – ‘Welcome To The Hell’ is the infamous banner greeting for any visiting English team and their fans. Attempting to lose this image, Istanbul has recently bid to host major tournaments, controversially losing out to France to stage Euro 2016. Turkey remains one of two candidates bidding for Euro 2024. In line with these ambitions stands the Atatürk Olympic Stadium, scene of Liverpool’s dramatic triumph in the Champions League final of 2005. 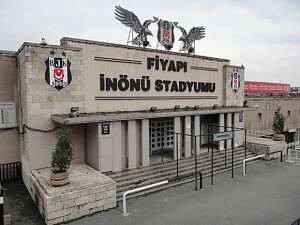 In 2013, it was also the scene of serious rioting by Besiktas fans, a mess of damage that caused a derby game with Galatasaray to be abandoned. At the time, Besiktas were rebuilding their own stadium, now Vodafone Park, opened in 2016. 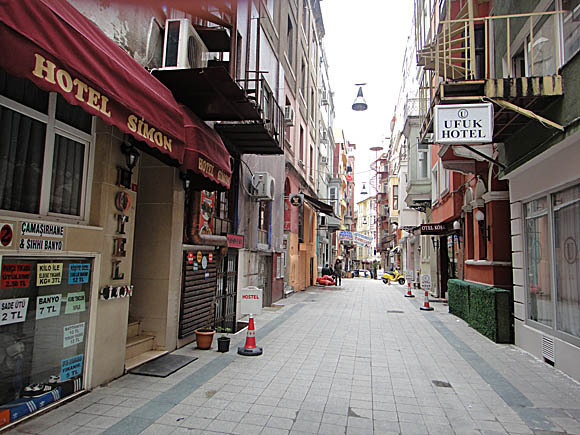 A gentle and picturesque stroll from the main square of Taksim, Besiktas is by far the most central club in Istanbul. Their fans now longer have to trek way out to the Olympic Stadium in the far north-west of this two-continent megalopolis of 5,000 square kilometres, and 14 million-plus people. Thankfully, Istanbul’s shining new metro network now extends right out here to the suburbs. 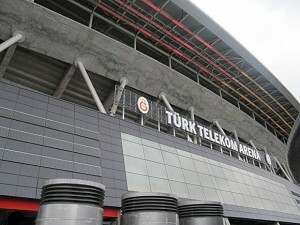 Record title-winners and 2018 champions Galatasaray, the only Turkish side to bring home a European trophy, are also located north, in Sisli, where the Türk Telekom Arena also hosts the Turkish national side. Only Fenerbahce are on the Asian side, providing a memorable match-day journey over the Bosphorus. Each of the big three was formed during the old Ottoman days. The imperial rulers frowned upon the foreign influence of football, so the trio were based in areas with large Christian and Jewish populations, and well-to-do foreign schools. The founder of the post-Ottoman Turkish republic, Mustafa Kemal Atatürk, was more cosmopolitan in outlook, and also a Fenerbahce fan. By the 1920s and 1930s, there was a thriving local Istanbul league and regional play-offs, the forerunner of the current Turkish League. When Besiktas debuted in the European Cup in 1958, drawing with the great Real Madrid, they had entered as winners of the Federation Cup. A year later, the National League was formed, and the trophy didn’t leave Istanbul until 1976. None of the big three has ever been relegated. In recent years, city’s fourth club, now called Istanbul Basaksehir, has finished second and third respectively. Formerly Buyuksehir Belediyespor (BB for short), they now play at the Fatih Terim Stadium, opened in 2014. 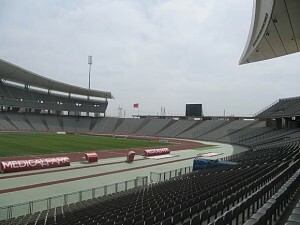 The original Istanbul BB were formed by an amalgamation of several municipal clubs in 1990 and had been holding their own in the top flight while playing at an echoing, mainly empty Olympic Stadium. 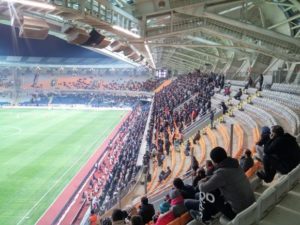 The district of Basaksehir is in the same north-west outskirts of the city – the new stadium is by the intersection of Kanuni Sultan Süleyman Cd (aka Basak Boulevard) and Mevlana Celaleddin Rumi Cd, reasonably close to MetroKent on the M3 line. Traditionally the fourth club was always Istanbulspor, who made the UEFA Cup in 1998 but suffered financial collapse shortly afterwards. Kept afloat by the government, the club worked its way back up the league ladder and finished mid-table in the second-flight First League in 2018. 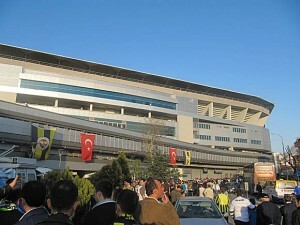 The club’s Bahcelievler Stadium is in Yenibosna, towards Atatürk Airport, a short taxi hop from Yenibosna metro on the red M1A line. In 2013, Beyoglu-based Kasimpasa gained promotion to join their four city rivals in the Süper Lig. A creditable sixth place was the result. Their Recep Tayyip Erdogan Stadium is a 10min climb from Istanbul’s main shopping street of Istiklal Caddesi, served by quaint trams from Tünel. 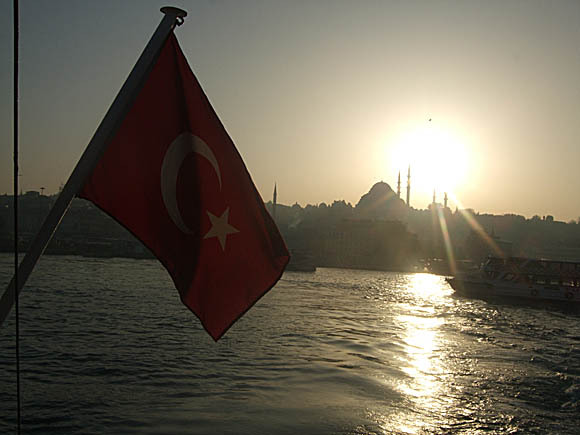 A Turkish visa for citizens of most countries is available online for $20 with a credit or debit card. It is also available at Istanbul’s two airports, Atatürk and Sabiha Gökcen, 23km (15 miles) west and 45km (28 miles) south-east of the city respectively. A half-hourly HAVATAS shuttle bus serves both airports. 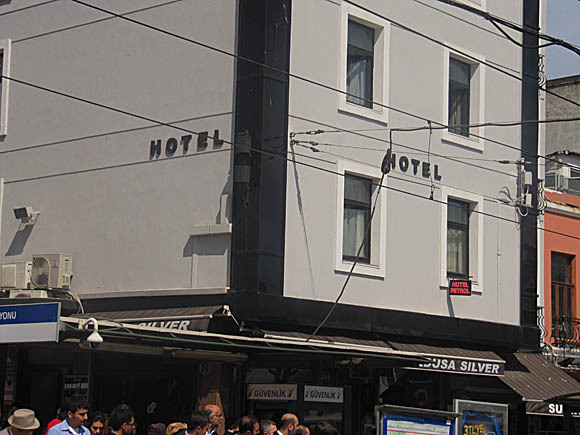 From Atatürk, the bus (TL15/£2.25) runs every 30min to the Point Hotel by the focal square of Taksim, journey time around 40min. A taxi should cost around TL70/£10.40 and take 30mins. You could also use Istanbul’s remarkably extensive and ever-expanding metro network. From Atatürk Havalimani at the airport terminal, take the red M1 line to Zeytinburnu, then change onto the T1 tramway to town, the hotel hub of Sultanahmet or the transport vortex of Eminönü. From Sabiha Gökcen, the half-hourly HAVABUS takes 90min to Taksim and a taxi will cost at least TL125/£18.50 depending on where in Istanbul you’re headed for. Many hotels also lay on a paid transit service from either airport for incoming guests – though the fee may be more expensive than a regular taxi. Public transport consists of the metro, tramway, light rail, buses, trams, a funicular and boats. It costs TL5/£0.75 per token per ride, or about TL2.60/£0.40 by rechargeable Istanbul Kart (TL10/£1.50), available at many stations. 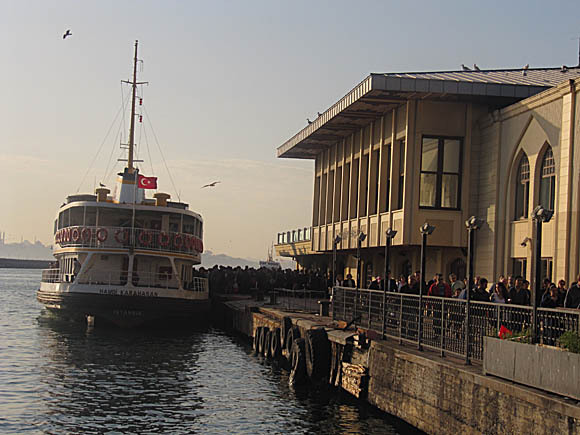 The T1 tramway calls at the main sights and transport stops, including Sirkeci train station, home of the old Orient Express. In town, taxis are everywhere – the minimum fare is TL10/£1.50 and traffic can be dreadful. Expect to pay around TL25/£3.70 for a journey such as Sultanahmet to Besiktas. 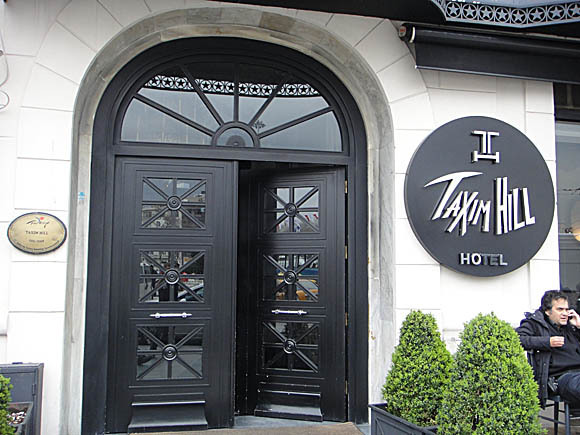 The Istanbul Insider has tips on where to stay and a link to booking.com. 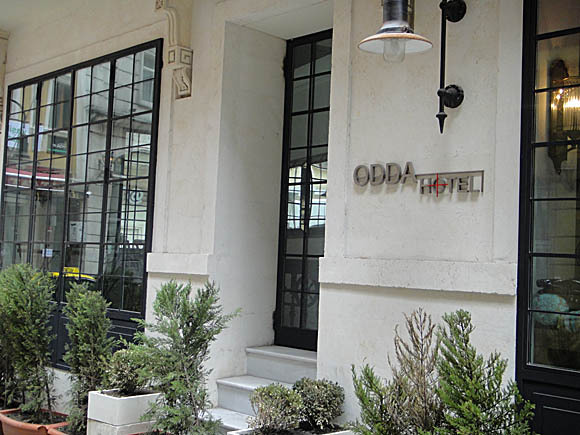 Affordable hotels are dotted around the transport hubs of Sultanahmet and Taksim. 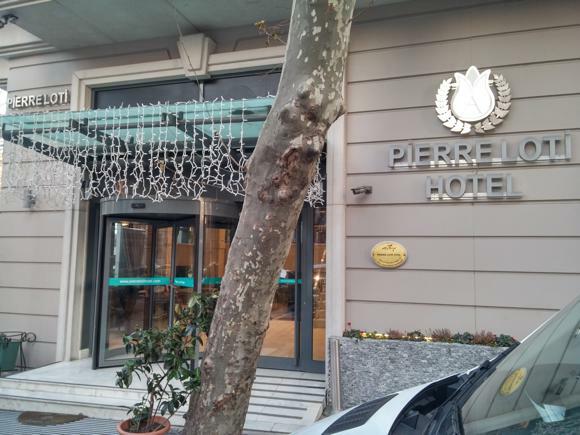 The notch-above Pierre Loti provides a spa and terrace bar/restaurant while the mid-range Orient Express plays up its location close to Sirkeci station. Though you won’t find Poirot in the lobby, it does have a pool and panoramic restaurant. 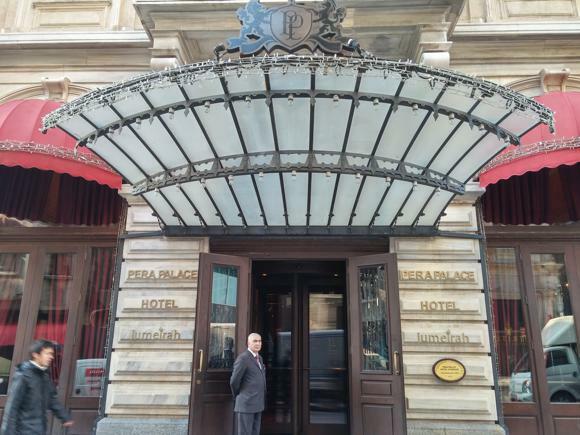 To stay where Agatha Christie did, in the lap of fin-de-siècle luxury, the Pera Palace Hotel is a gorgeous reconstruction from the golden age of travel. Your budget should at least stretch to a drink in its sumptuous Orient Bar. 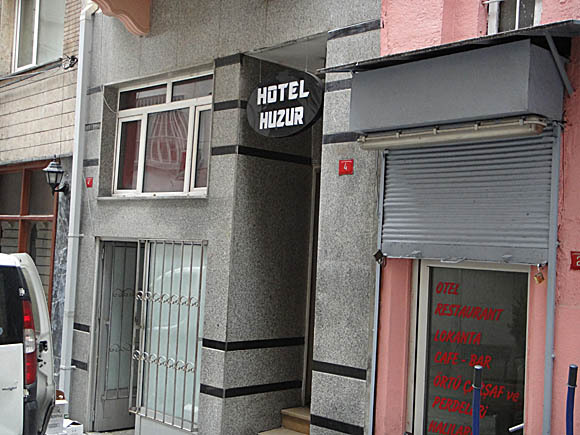 Around Taksim, the pricy Odda and Taxim Hill Hotels are conveniently located.The nearby Hotel Huzur (Büyük Bayram sok 28) is a cheap, well located choice. 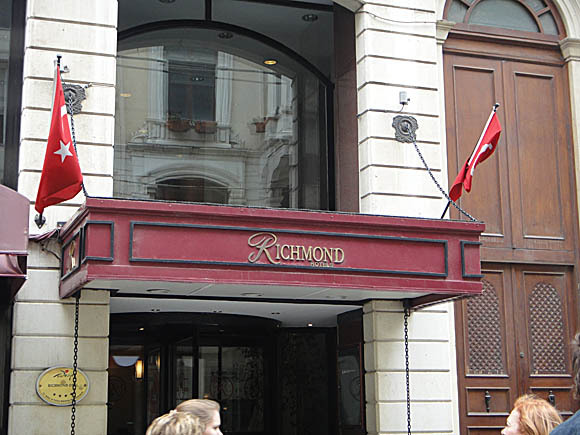 Other options include the Hotel Richmond on the main drag of Istaklil caddesi, as well as the cheaper choice of the Hotel Simon on Nane sokaki, beside Atuf Yilmaz caddesi. 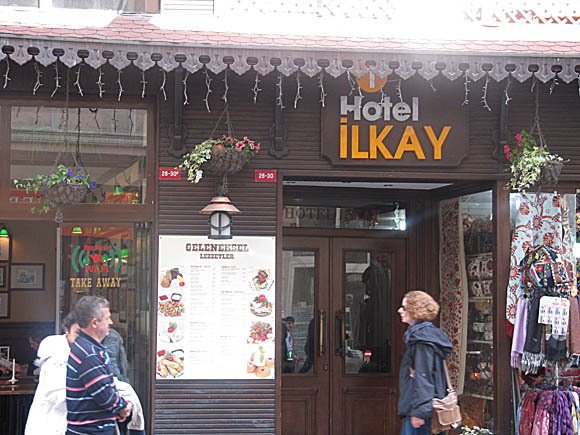 In Sultanahmet you’ll find the affordable Holiday Hotel and the Hotel Ilkay. 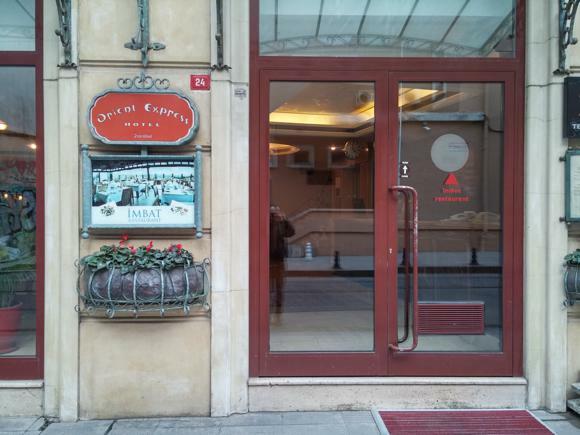 The Esra Sultan Petrol Hotel is in a classic building with a roof terrace for breakfast. On the Asian side by Kadiköy Harbour, handy for Fenerbahce, the Park House is a comfortable spa hotel. 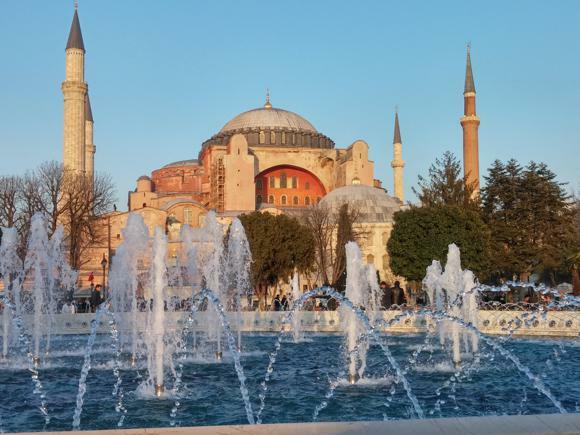 Although the main metropolis of a Muslim country, Istanbul does not stint on alcohol, Efes beer and raki spirit being readily available at most establishments. 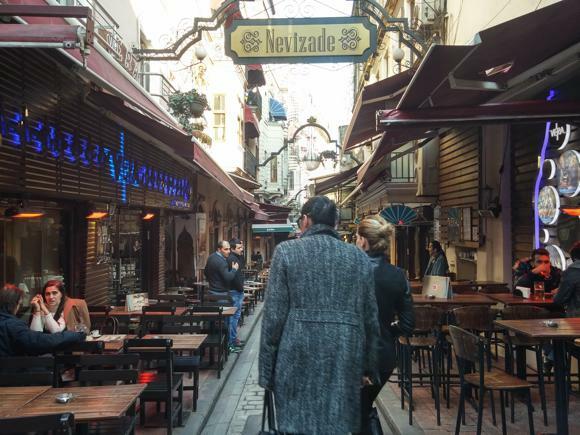 Beyoglu is the traditional hub of bar culture, particularly on venue-lined Nevizade. 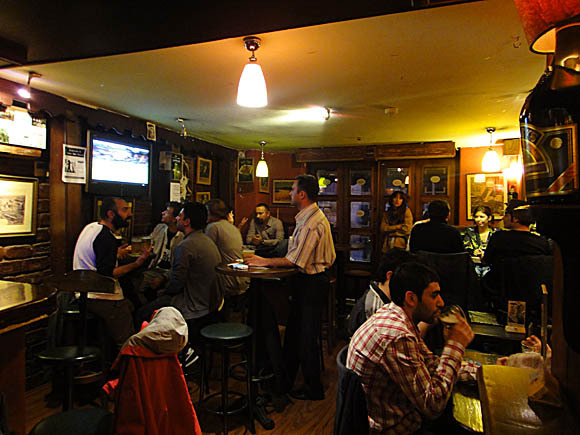 In Taksim, the authentic, two-floor James Joyce pub (Balo sok 26) offers TV football and occasional live music. 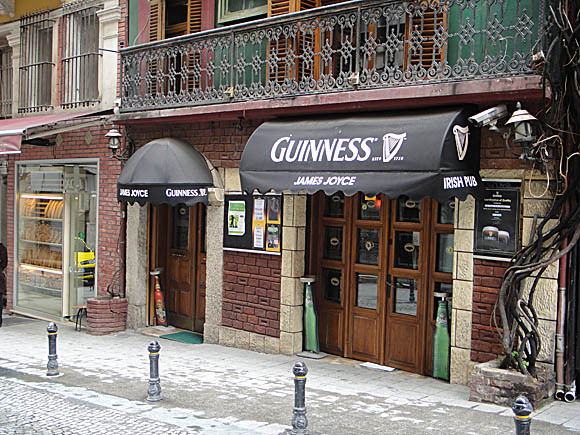 Also close, the U2 Istanbul Irish Pub at Bekar sok 21, between Tarlabasi boulevard and Kurabiye sok puts live music before live sport but is decked out in football memorabilia. The nearby Corner Irish Pub at Mesrutiyet cad 11A is TV screen city, with seats outside as well. 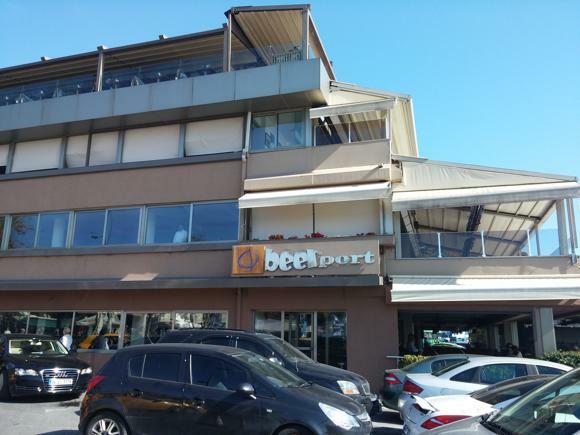 For a few drinks with a view, the Beer Port is a convivial spot in Besiktas. In the same neighbourhood, the United Pub (Sehit Asim cad 26) and Beer Plus across the street are both decent choices to watch the game. 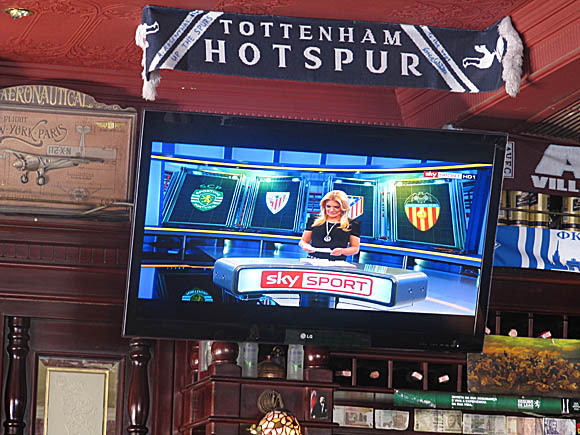 In Fenerbahce, The North Shield (Bagdata cad 183) features Sky Sports TV for Premier matches and a pub-like interior.